Die Ergebnisse von POWER TO IDEA – let’s rock! Herzlichen Glückwunsch! Es gab 10.000 Euro Preisgeld zu gewinnen, die wie folgt aufgeteilt wurden: 5.000 Euro gingen an AIBerry, 3.000 Euro an OEEX und 2.000 Euro an Freightpilot. Zusätzlich bekam der Erstplatzierte die POWER TO IDEA-Trophy sowie eine Wildcard für den Investforum Pitch-Day am 14. September 2017 in Halle (Saale)! Die Bewertungskriterien der Jury drehten sich neben den gängigen Forderungen nach einer starken Idee, die neu und einzigartig ist, einem passenden Team, dass die Idee auch entsprechend umsetzen kann und einem Pitch, der die Inhalte verständlich rüberbringt, vor allem um die Erwartung, dass die Startups mit einem Pilotprojekt in der Region Anhalt einen positiven Beitrag zur nachhaltigen Entwicklung der Energiewende leisten. 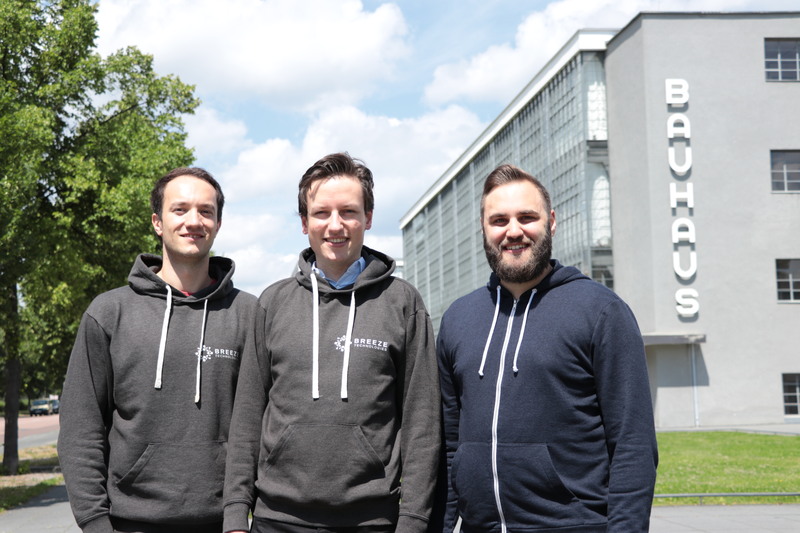 Beispielsweise baut der Gewinner AIBerry mit seinem im Summer Camp gewonnenen Partner Enlife Gebäude der Stiftung Bauhaus Dessau und das Landestheaters in Wittenberg so um, dass aufgrund der eingesetzten Hard- und Softwaretechnologie der Energieverbrauch nachhaltig gesenkt werden kann. Die Nachhaltigkeit geht bei AIBerry von der Produktion des Produktes, über die disruptive Energieharvesting-Technologie, durch die das Device batterielos betrieben werden kann, bis hin zum AIBerry-Geschäftsmodell, dass Geld durch Einsparungen generiert. Smart! 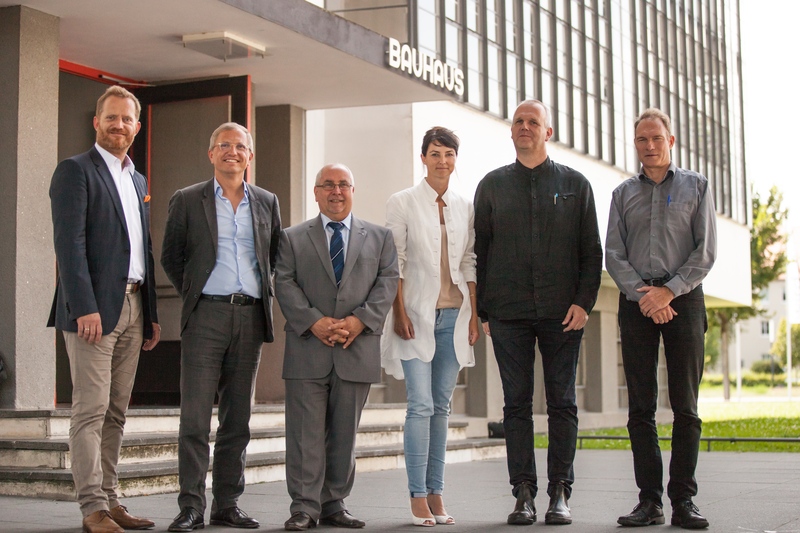 Gruppenbild in der Aula des Bauhaus Dessau. Foto © Johannes Erb. Die POWER TO IDEA Jury: (v.l.n.r.) Dirk Trappe (Prokurist, Landesenergieagentur, Sachsen-Anhalt), Juryvorsitz Dr. Stephan Muschick (Geschäftsführer, innogy Stiftung für Energie und Gesellschaft), Thomas Zänger (Geschäftsführer, Stadtwerke Dessau), Anne-Janine Freund (Projektmanagement, Univations), Thies Schröder (Vorstandsvorsitzender, Energieavantgarde Anhalt) und Dr. Paul Grunow (Vorstand und Direktor, PI Photovoltaik-Institut Berlin). Foto © Johannes Erb. 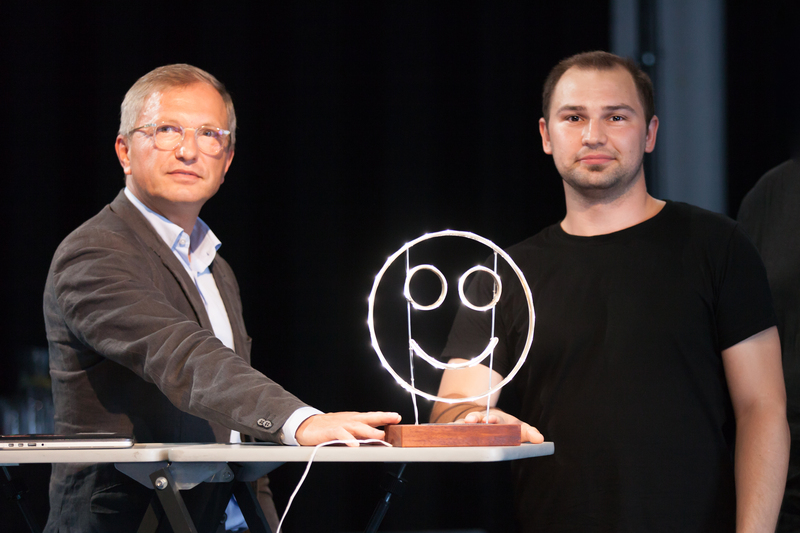 Juryvorsitz Dr. Stephan Muschick und Erstplatzierter Denis Bittner (CEO, AIBerry) mit der POWER TO IDEA-Trophy. Foto © Johannes Erb. Jurvorsitz Dr. Stephan Muschick gratuliert Marco Borghesi (Gründer, OEEX) zur zweiten Platzierung. 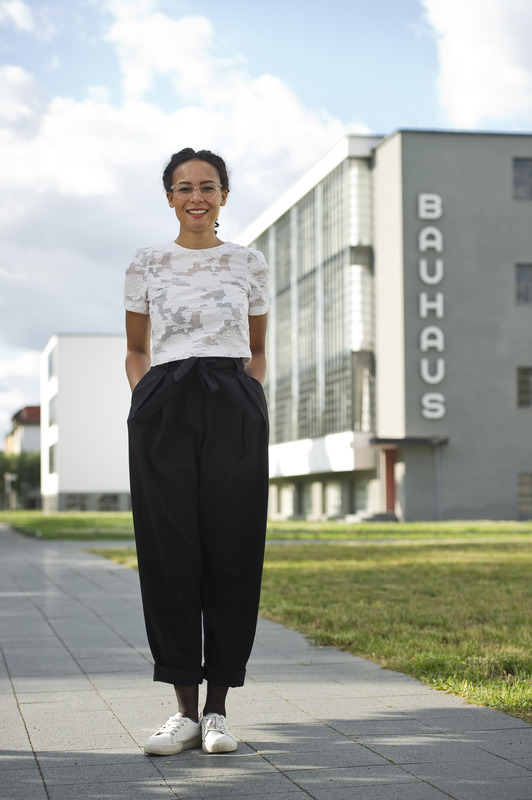 In der Mitte die Pitcherin Ayanda Rogge (Marketing und Sales, OEEX). Foto © Johannes Erb. Juryvorsitz Dr. Stephan Muschick mit Sven Spiekermann (Gründer und CEO, Freightpilot). Foto © Johannes Erb. Über die Entstehung der Energieavantgarde Anhalt berichtet Thies Schröder im neuen Gründerszenepost: „In den vergangenen Jahren haben verschiedene Partner festgestellt, dass sie ein ähnliches Anliegen hatten – nämlich die Transformation einer Region auf der Basis von erneuerbaren Energien. Schließlich lud uns die Alfred-Töpfer-Stiftung ein, eine Woche lang unsere Ideen zu einem gemeinsamen Projekt zu formen. Die Energieavantgarde Anhalt war geboren“. Die Legende wird durch unseren POWER TO IDEA Accelerator weiter verstärkt und von René Mono thematisch verdichtet. Hier geht es zum Artikel! 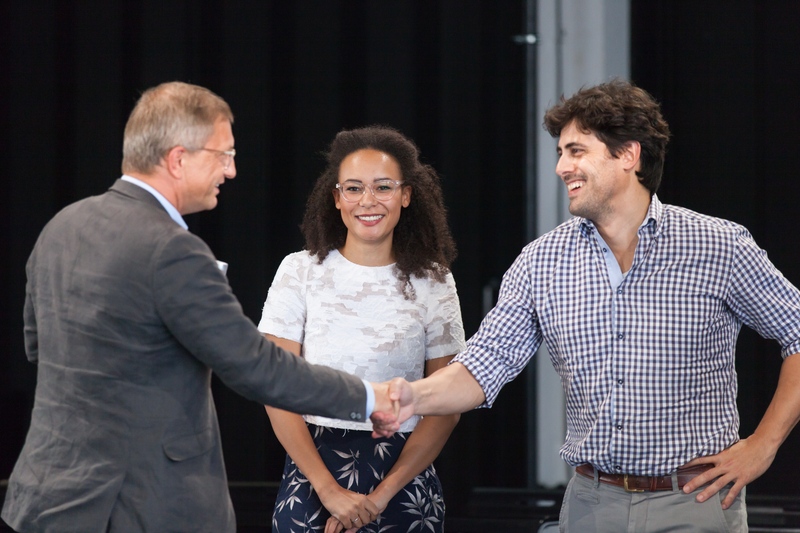 Zwei Tage vor dem Finale zum Demo Day erscheint das zweite Interview mit dem Startup-Experten aus den Vereinigten Staaten Nelson González. Nelson kommt aus der Strategieberatung und ist Mitgründer der social learning platform Declara. Bei POWER TO IDEA unterstützt er uns als Mentor. 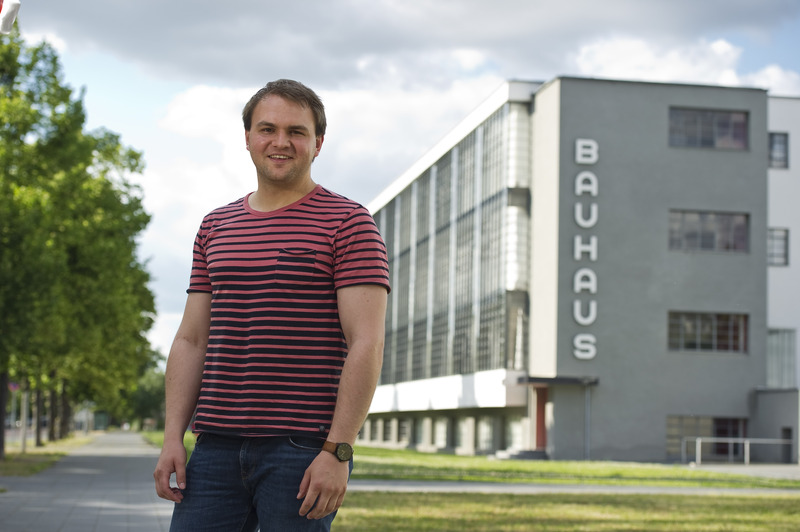 Thank you so much from heading over from Silicon Valley to Bauhaus Dessau. 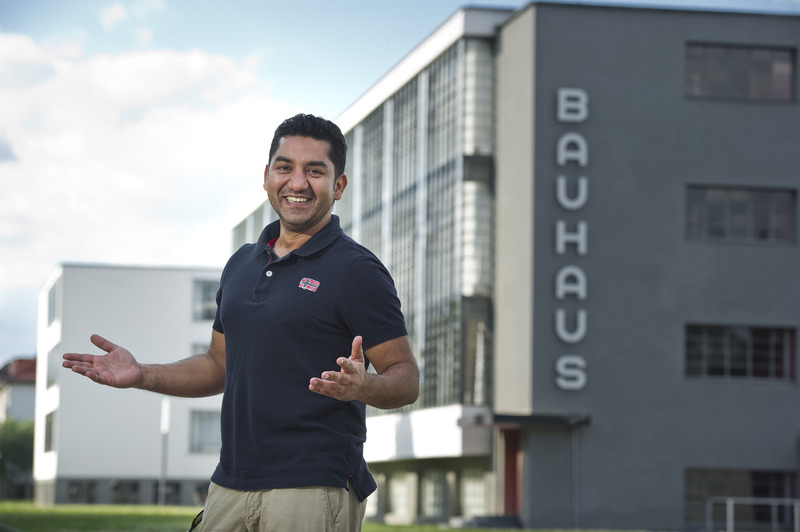 We know things are a little bit slower right here – so, how are you feeling at Bauhaus Dessau? NG: I am like a kid in the candy store between being in the modern design Mecca of the world and a fascinating group of energy companies all at the same time. I have seen some really interesting leaders, ideas, and sophisticated plans. I mean seriously, there are a couple of companies where I think: Can I invest? People will take a lot out of this event because of having conceptualized business plans very early and being together with people who have already gone through the company making process. This will radically accelerate development. So I feel really excited and energized. What are the key success factors to run a startup as a young founder? NG: First, I think a really clear sense of your mission and what it is you are trying to achieve, because it’s not all about product, it’s about impact, it’s about changing customer behavior or using data trying to improve people’s lives. Second, founders need to balance strong self confidence with deep humility. It’s like walking a tight rope, being able to pivot quickly, while holding on to your vision, your calling, why you think you’re on this planet. The third thing is actually about love. Loving your customers and loving your team and using that energy to build practices that enable you to pivot quickly, because you are trying to delight your customer and solve their biggest problems quickly, and working with your team to transform yourself in a spirit of great trust. Most of my conversations today have been focused on that very precarious transition between initial seed funding and go-to-market testing. So I think it is really important to pay attention to this moment and not give away power and authority too quickly to sales people or external teams. Your idea or product is not finished, you must still shape marketing and pricing strategy, product features, etc. I think paying attention to that moment is an under-analysed part of how we as mentors can support startups. I think a maturity model is necessary in that phase of startup development. Basically it’s slowing down to speed up. Tell us about your experience at POWER TO IDEA. What did you learn here at this event? NG: I am sort of jealous of these founding moments. They are really beautiful. They are tender. They are vulnerable. Full of possibility and constant opportunities to learning. And it also reminds me of the great responsibility inherent in being a founder. There is great potential, and great peril. What drives me as a mentor is that I think startups are under supported. There aren’t enough supports around personal development, team effectiveness, agile development, finding product-market-fit, and accessing diversified capital types. I call this the “Full Stack Innovation Ecosystem” and am working to develop tools that deepen and integrate these critical variables in effective company making. We need to do much more to help founders with concrete tools that help them negotiate these precarious moments, and ultimately generate greater return for everyone. Based in silicon valley, in one of the most important startup hubs in the world, your startup Declara develops crowd based learning to innovate society – which impact did acceleration have on your business development? NG: We found acceleration in two ways. First, through our early go to market strategy that focused on going to zones of non-consumption, as Clay Christensen calls them, and through being really radical about Agile product development processes. We decided to not start in the U.S. but rather go to Mexico, Singapore and Australia. And that was the best decision we ever made because we went to economies that were ready to scale at a systems level. So in year one, we got national level prepaid multi-year contracts and that is the reason why we were able to raise almost $40 million in only seed and series-A rounds. We also made some mistakes along the way because we scaled too quickly before we had demonstrable product market fit. We brought on too many too senior sales people before the product could sell itself in a repeatable and predictable fashion. We’re alive because we became very orthodox about agile development processes. We pivoted everything in like four months. We recreated our backend, our frontend, our analytics and our business model, and we were only able to do that because of our commitment to agile and a re-taking of the sales motion. Wir haben kurz vor dem Finale zum Demo Day noch zwei Startups Experten aus den Vereinigten Staaten einfliegen lassen, die uns als Mentoren bei POWER TO IDEA unterstützen. In unserer ersten Episode interviewen wir Heather Lord – Sie ist Social-Impact-Expertin und kommt aus New York. 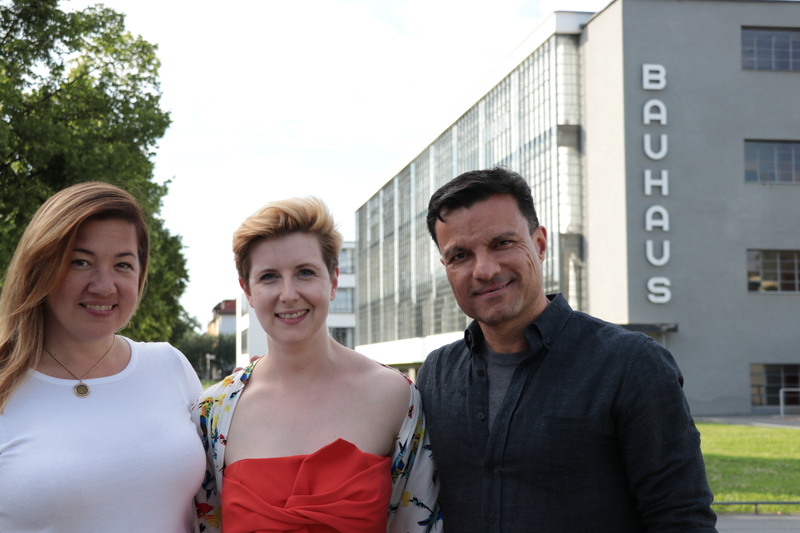 Thank you so much from heading over from New York to Dessau. 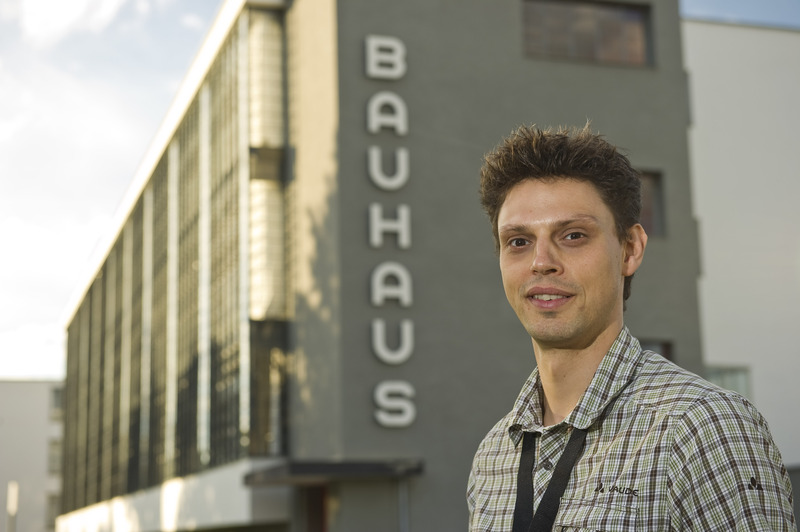 We know that you are a kind of design geek – so, how are you feeling at Bauhaus Dessau? 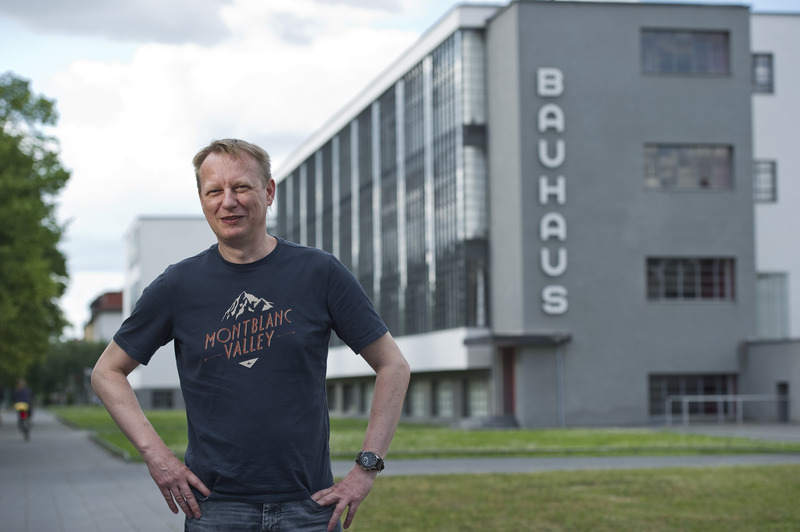 HL: It feels like a pilgrimage to be here at Bauhaus because it’s the home of so many of my favourite architects and designers, it’s amazing to be here at the source to experience their idea factory and absorb their genius. HL: The most important thing for investors in general is to bet on the jockey, not necessarily on the ponies. There are so many good ideas out there – how to save the world, how to make a million dollars, how to invent this or that new device, but one of the most important factors is: who is the team and who is the leadership. The social and emotional IQ of the leaders cannot be ignored or understated in understanding wether a startup is successful or not. 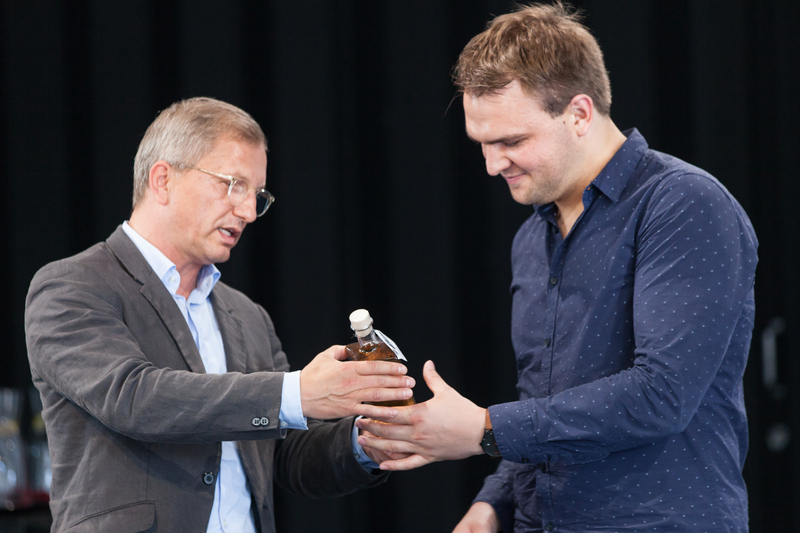 Can you tell us a little bit about your experience here at the „Power to Idea“ Accelerator? 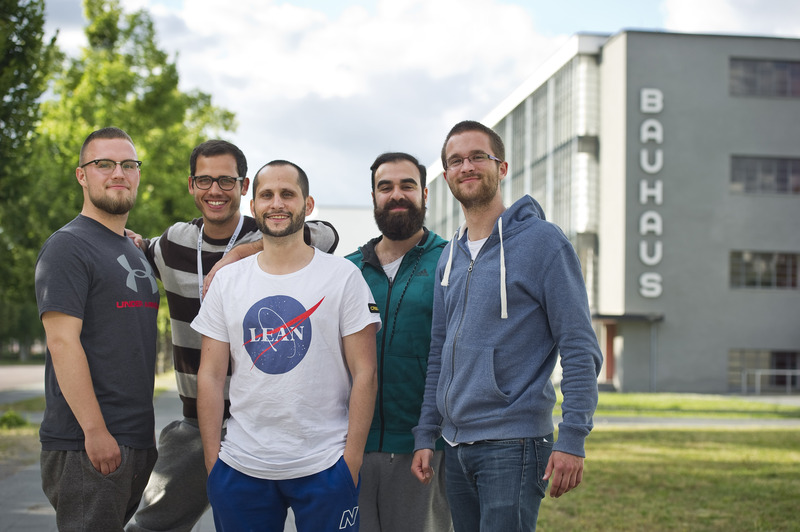 HL: It is really interesting for me to be sitting with all of this entrepreneurs who are part of this program at Bauhaus Dessau. 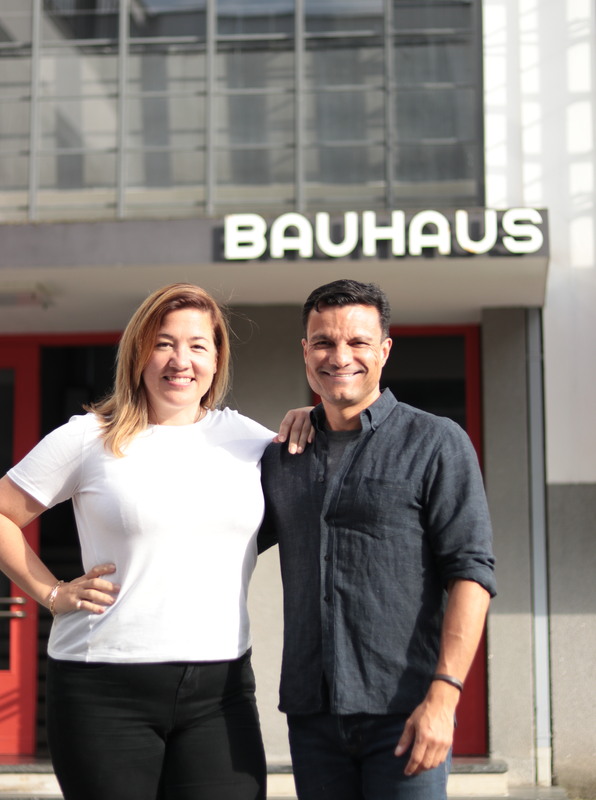 Like the former leaders and designers from Bauhaus, these emerging entrepreneurs are looking for the blind spot in their sectors. It’s so inspiring to learn from all this different founders what social or technological problem they are trying to solve and how they are trying to mobilize and do that. As an expert for social impact what does the future of the startup scene will look like? HL: The divisions between what we commonly think of as the philanthropic/social impact sector versus traditional for-profit businesses sector have become increasingly blurred over the last 10 years, and will likely continue to do so. Major brands and for-profit companies have done significant research showing that a big part of their short and long-term success and appeal to consumers and investors requires that they also have some thesis to address social issues – environment, economic development, etc – in a way that is a complement and a booster for the company. This is not just warm fuzzies – this affects bottom lines. All entrepreneurs today need to make sure they have thought about how to do this and how to talk about it and implement it as a core part of their strategy – and this is in fact what I help companies do in my work at V&H Social Impact. We see that social impact investors, venture capital investors and legal business structures are adapting to respond to this demand in society. Beschreibt in 3 Sätzen kurz, welches Problem Ihr löst und wie Ihr daraus ein Geschäftsmodell gemacht habt. Luftverschmutzung ist die weltweit größte Umwelt-Gefahr für unsere Gesundheit (über 5.000 Milliarden USD Schaden pro Jahr weltweit). Datengetriebe Entscheidungsfindung bei der Maßnahmenplanung war bislang aufgrund von Kosten und fehlendem Wissen nicht praktikabel. Wir kombinieren günstige Umweltsensorik mit automatischer Datenauswertung und können so erstmals effizienz- und effektivitätsgetrieben Empfehlungen zur lokalen Verbesserung der Luftqualität abgeben. Unsere Kunden zahlen für die Kombination aus Luftqualitätssensor und Cloud-Plattform eine jährliche Gebühr, die bis zu 1.000 Mal günstiger ist als die aktuellen Kosten für professionelle Messtechnik. Warum seid Ihr bei POWER TO IDEA dabei und was sind Eure Erwartungen? POWER TO IDEA ist für uns das ideale Format, um Pilotprojekte in der Anhalter Region anzustoßen. Wir bereiten aktuell auch eine Investmentrunde, den Start der Serienproduktion und den Markteintritt vor – in allen diesen Punkten hoffen wir auf tatkräftige Unterstützung im Summer Camp. Beschreibt in 3 Sätzen: Wo seht Ihr Euch in 3, 5, 10 Jahren? 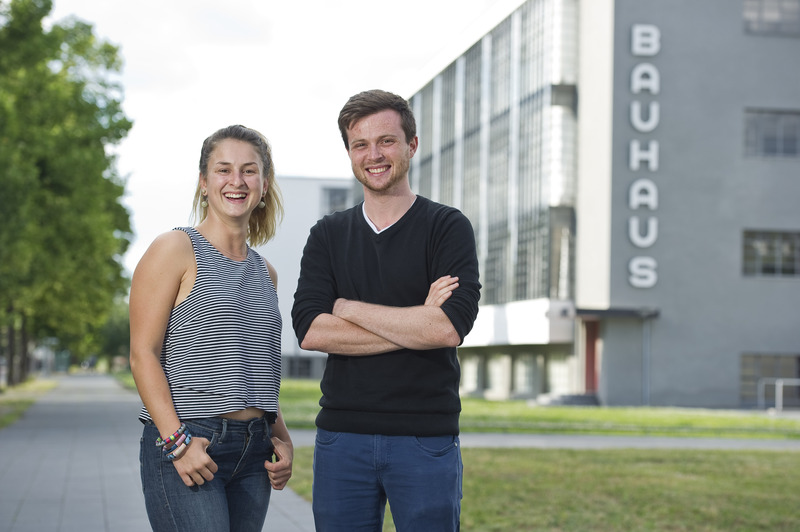 Nach dem erfolgreichen Markteintritt in diesem Jahr werden wir unsere Marktposition im Smart Building und Smart City-Bereich sukzessiv ausbauen. Aktuelle Gebäudestandards fokussieren neben Energieeinsparungen auch den Faktor Luftqualität. Die Dieseldebatte hat auch die Diskussion um Luftgüte und Smog in unseren Städten neu entfacht. 36 Monate sind viel Zeit: Wir werden diese nutzen, um uns in Europa eine relevante Marktposition gegenüber Legacy-Anbietern wie Ingenieurbüros zu erarbeiten. Mittelfristig wollen wir so signifikante Luftqualitätsverbesserungen in europäischen und internationalen Städten erzielen. Unser Ziel ist es, dass unsere Lösungen in zehn Jahren weltweit bei hochwertigen Planungs- und Bauprojekten schon von Tag eins ein Must-have sind – und dass wir dabei geholfen haben, unsere Städte von Smog zu befreien. In der vierten Vorstellungsrunde: indielux und OEEX. Kein Hersteller von Stecker-Solar-Geräten bietet bisher eine brauchbare Haltelösung für die Balkonbrüstung. indielux hat mit seinem Balkonkraftwerk balcon-e mit der werkzeugfreien Universalhaltelösung die Frage der Aufhängung innovativ-einfach und sicher gelöst. Das ist ein Alleinstellungsmerkmal, welches für eine massenhafte Verbreitung solcher Stecker-Solar-Geräte von entscheidender Bedeutung ist. Nur wer die Montage am Balkon kunden- und kostenfreundlich löst, wird die Energiewende für Mieter und Wohnungseigentümer in die Städte bringen und dort einen Zubau an Photovoltaik erreichen. Das Alleinstellungsmerkmal für indielux-Anlagen ist durch Patentschutz dauerhaft gesichert. Warum seid Ihr bei P2I dabei und was sind Eure Erwartungen? Sachkundiges Feedback zum Geschäftsmodell. Tragfähige Kontakte für die weitere Vermarktung. Anregungen von Gleichgesinnten und anderen Gründern. Beschreibt in 3 Sätzen kurz, welches Problem Ihr löst und wie Ihr daraus ein Geschäftsmodell gemacht habt. Dezentrale Einspeisung, volatile Erzeugung und veränderte Kundenstrukturen stellen die Energiewelt vor neue Herausforderungen. Wir verbinden Erzeuger und Verbraucher über IOT in einer Community, um Flexibilitätspotenziale nutzbar zu machen. Gemeinsam mit Energieversorgern realisieren wir Anwendungsfälle für regionale Strom-Communities und schaffen innovative Stromkonzepte in Form neuer Tarife oder Direktvermarktung. 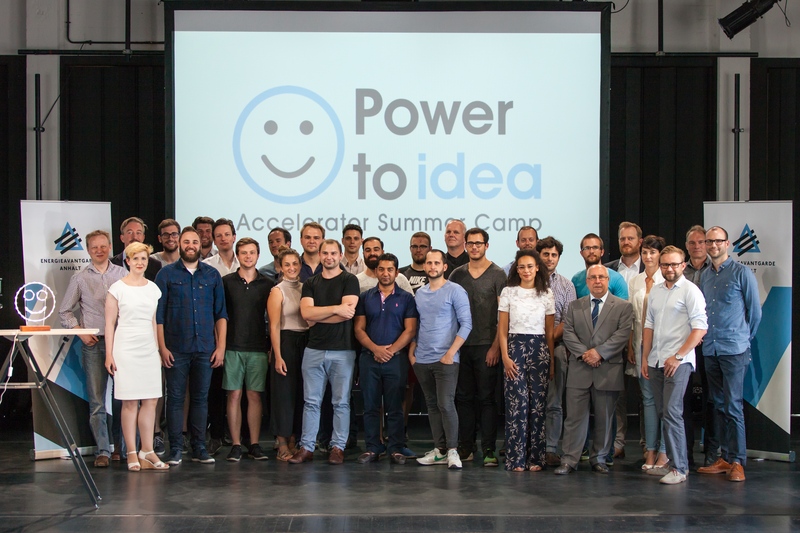 Mit dem Power-to-Idea Summer Camp freuen wir uns auf ein innovationsfreudiges Umfeld mit coolen Leuten, Startups und Corporates, die alle an einem Ziel arbeiten: Lösungen und Anwendungsfälle für die neue Energiewelt zu entwickeln. Wir hoffen auf neue Kontakte zu regionalen Stromversorgern mit der Möglichkeit, Projektpartner für die Community zu gewinnen. 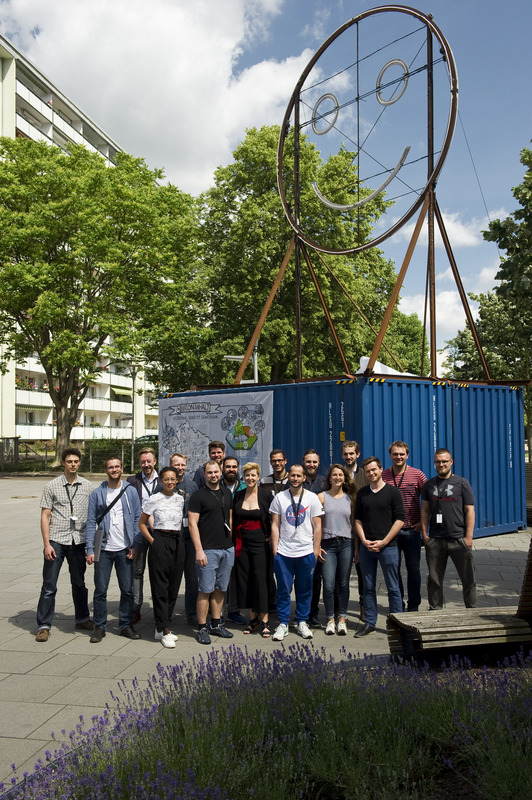 Die Branche ist sehr komplex – im Summer Camp erwarten wir Zugang zu Expertise aus verschiedenen Bereichen der Energiewirtschaft und der Innovationsszene und natürlich eine energiegeladene Zeit. Beschreibt in 3 Sätzen: Wo seht Ihr Euch in 3, 5, 10 Jahren? 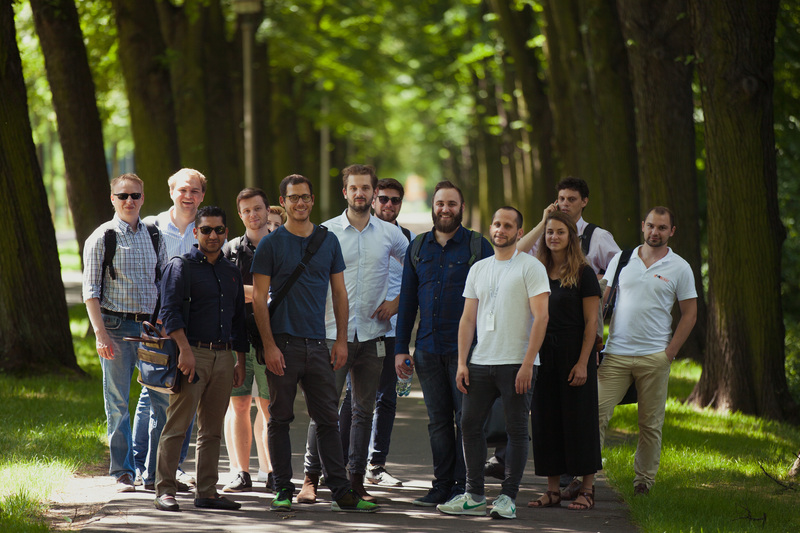 In 3 Jahren: OEEX und seine Partner haben bundesweit Erzeuger und Verbraucher in regionalen Communities vereint und schaffen finanzielle Mehrwerte für alle Beteiligten. In 5 Jahren: Die OEEX-Ready-Schnittstelle wird zum Standard für den Anschluss von IOT- Geräten, die mit einander vernetzt werden können, um Strom effizient zu nutzen. In 10 Jahren: Peer-to-Peer Marktplätze für Energie sind dank Smart Contracts möglich und die regionalen Communities tauschen untereinander ihren Strom und schaffen somit eine flächendeckende effiziente Stromnutzung sowie faire Kostenstrukturen. 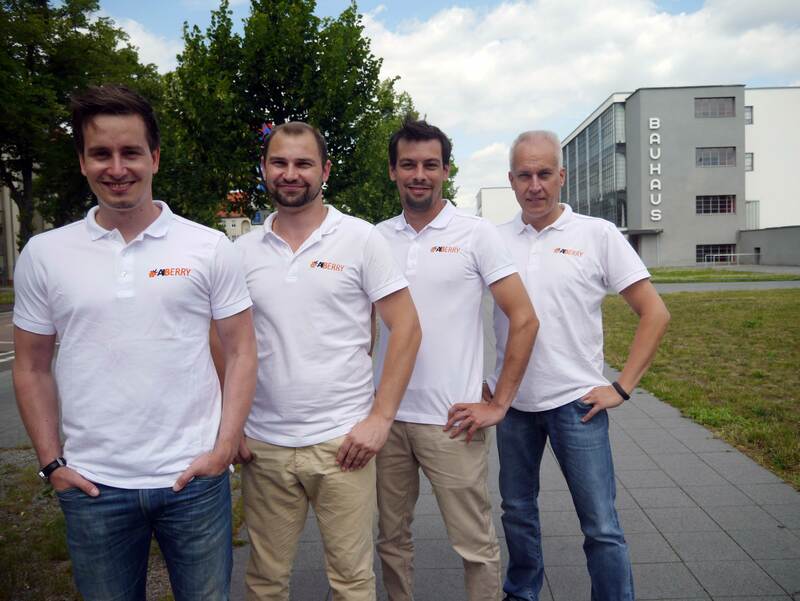 Kooperationen zwischen Startups und Partnerunternehmen – here we go! Wenn ihr mehr erfahren wollt, geht es hier zum Artikel. Die dritte Vorstellungsrunde: S O NAH und doobewoo. S O NAH entwickelt Sensoren für die Stadt der Zukunft und trainiert diese das Parkplatzproblem zu lösen. Hiermit helfen wir heute schon Unternehmen Zeit und Stress für ihre Mitarbeiter, während der Arbeitszeit, zu reduzieren. Für die Parkraumbewirtschaftung bieten wir die Grundlage durch die gesteigerte Transparenz und automatisierten Analysen, mehr Geld pro Parkplatz zu verdienen. Stand heute, verkaufen wir die Sensoren und verlangen eine monatliche Servicegebühr pro Parkplatz. Langfristig verstehen wir uns als Serviceanbieter und entwickeln gemeinsam neue servicegetriebene Geschäftsmodelle. In Zukunft werden wir in der Lage sein, weitere Services via Software-Updates anzubieten, wie z.B. das Melden von Gefahren für autonome Autos. Denn wir können viel mehr als nur Parken! Mobilität im urbanen Raum ist ein komplexes Zusammenspiel und darin liegt auch der Grund, warum es bis heute es noch kein Unternehmen oder Startup geschafft hat das Parkplatzproblem zu lösen. Wir sehen bei POWER TO IDEA eine hervorragende Chance unsere Geschäftsmodelle und Technologien für den urbanen Raum gemeinsam zu validieren. Ziel ist es, die Expertise und Erfahrung in unsere Architektur einfließen zu lassen. Im Anschluss daran steht für uns die Umsetzung mit Partnerunternehmen im Fokus des Camps. Die nächsten Monate sind davon geprägt die Aufbauten bei Kunden zu beenden und das nächste Investment abzuschließen. Im Moment befinden wir uns in der Vorbereitung, um mit diesem Investment, in einem definierten Markt, Marktführer für Parkraumsensoren/-daten zu werden. Wir haben innerhalb eines dreiviertel Jahres, ein fertiges System entwickelt und werden mit dem geplanten Investment die Geschwindigkeit noch einmal drastisch steigern können. Wir werden uns mit unserem SaaS-Produkt (Integration in bestehende CCTV Infrastruktur) und unseren smarten Sensoren in jeder Metropole der Welt befinden. Bedingt durch unseren Fokus auf Algorithmen und Software ist dies langfristig auch realisierbar. Unsere Vision, flächendeckende Sensoren und Software für die Stadt der Zukunft anzubieten, ist vergleichbar mit der Vision von Coca-Cola: “A Coke within arm’s length of desire“. Die Produkte der Energieversorger sind emotionslos. Wenn man Strom oder das Gas nicht bräuchte, würde es keiner kaufen. Des Weiteren wird erwartet, dass sich ein Energieversorger für das Gemeinwohl engagiert. Dieses Problem lösen wir mit unseren Online-Spendenplattformen. Die Kunden entscheiden, für welches soziale Projekt sich ein Energieversorger engagiert und die Energieprodukte können emotional aufgeladen werden. Weil wir daran glauben, dass Energieversorger gemeinsam mit den Menschen die Welt für uns alle ein bisschen besser machen können. Weil wir daran glauben, dass die Energiewende allen Nutzen sollte, und dass dieses mit einem „Fairen Energie-Tarif“ auch erreicht werden kann. Wir erwarten vom POWER TO IDEA-Accelerator Inspirationen und Ideen zur Anwendung unserer Online-Spendenplattformen. Wir hoffen natürlich darauf, einen interessierten Pilotkunden überzeugen zu können. In 3 Jahren haben wir einen eigenen „Fairen Energie-Tarif“ etabliert. In 5 Jahren haben gibt es viele Energieversorger, die über unsere Plattformen faire Energieprodukte anbieten. In 10 Jahren ist es selbstverständlich, dass mit Energieprodukten die Welt ein bisschen besser wird. Die zweite Vorstellungsrunde: AIberry und Enlife. Wir sind der Meinung, dass smarte Technologie weder teuer noch der Umwelt schaden darf. Deshalb entwickeln wir ein grünes, dh. umweltfreundliches Smart Home auf Basis aktuellster Technologie und bieten dies zum fairen Einsteigerpreis an. Die meisten Smart Home Lösungen benötigen herkömmliche Batterien, um die Geräte betreiben zu können. Wir setzen auf autarke, also intelligente und klimafreundliche Geräte. Weil wir Teil einer grandiose Initiative sein wollen, die sich mit innovativen Lösungen unseren Klimaherausforderungen widmet und wir überzeugt davon sind, dass unsere Lösungen eine zentrale Rolle spielen können. In 3 Jahren sehen wir uns als Innovator im Markt der smarten, autarken Geräte. Wir werden in der Lage sein, all unsere Produkte nachhaltig selbst zu entwickeln und zu produzieren und schaffen es mit unseren starken Partnern den CO2-Verbrauch signifikant zu reduzieren. In 5-10 Jahren werden wir klima-neutrale Geräte entwickeln und produzieren und helfen anderen Industrien dabei, die intelligenten, autarken Lösungen zu adaptieren. Mit dem Abbau von Kraftstoffreserven, den steigenden CO2-Emissionen und den schwankenden Versorgungskosten sind wir als Energieverbraucher mit einer schweren und drohenden Krise konfrontiert. Auch bei der Umstellung auf erneuerbare Energien, der Klimaschutzpolitik und dem Aufkommen von intelligenten Zählern in der EU fehlt den Hauskonsumenten immer noch das Wissen, die Motivation und das richtige Instrument, um ihren Energieverbrauch zu verstehen und zu optimieren. Auf der anderen Seite haben die Dezentralisierung des Energiesektors, die strengeren staatlichen Kontrollen und die technologischen Fortschritte das Geschäftsmodell der Versorger nicht nachhaltig getrieben, um dem Repertoire neue Angebote hinzuzufügen. Auf der Unternehmensfront, während Energie als eine der wichtigsten Kostenkategorien für europäische CEOs gilt, ist der Mangel an Einsicht in die Energieeffizienz auf Management-Ebenen und das Versagen, rechtzeitige Informationen in der gesamten Organisation zu verbreiten, nach wie vor das größte Hindernis für eine breite Energieeinsparung. Wir haben eine Reihe von Cloud-basierten Energiemanagement-Applikationen entwickelt, um das Energie-Engagement zu optimieren und unsere anfängliche Strategie ist es, maßgeschneiderte Lösungen mit einem einmaligen Preismodell (inklusive Kosten für Anpassungs- und Beratungsgebühren) zu liefern und gleichzeitig eine SaaS-Software als Service mit regelmäßigen Umsatzströmen und minimalen Grenzkosten. Enlife AG ist bereit, zu einem der Pioniere des intelligenten Energieraums in der EU zu werden. Wir glauben, dass POWER TO IDEA uns eine Plattform bieten wird, um als innovatives europäisches Startup im smarten Energiesektor zu starten und zu wachsen und unsere Bemühungen zu beschleunigen, wertvolle strategische Partnerschaften im energiebezogenen Sektor zu entwickeln und Investitionsmöglichkeiten für uns zu gewinnen. Wir freuen uns auf wertvolle Erfahrungen und Einblicke aus von den Branchenexperten, die mit dem POWER TO IDEA-Summercamp verbunden sind und erwarten, ein Pilotprogramm mit mindestens einer großen Partnerorganisation zu entwickeln. Innerhalb des nächsten Jahres wollen wir in der Schweiz bedienungsorientierte Lösungen für mindestens einen Dienstleister anbieten. Für die Unternehmenslösungen planen wir, mindestens eins der großen Krankenhäuser, ein Hotel, eine Bildungseinrichtung und ein verteiltes Unternehmensunternehmen intelligente Energielösungen zu liefern. Unser 5-Jahres-Plan besteht darin, strategische langfristige Partnerschaften mit großen Dienstleistern zu entwickeln und branchenorientierte, intelligente Energielösungen für Unternehmen zu schaffen. In 10 Jahren sehen wir uns als führenden Energie-Engagement-Lösungs-Partner für Versorgungsunternehmen und Großunternehmen in der EU und im Mittleren Osten. Mit bookitgreen lösen wir das Problem, dass es noch keine technisch aktuelle, skalierbare und international agierende Buchungsplattform für nachhaltige Ferienunterkünfte gibt. Umweltbewusste Reisende müssen entweder in spezialisierten Reisebüros mit begrenztem Angebot buchen oder sich mühsam durch konventionelle Plattformen klicken und bekommen keine guten und gesicherten Informationen zur tatsächlichen Nachhaltigkeit der jeweiligen Unterkunft. Mit unseren 15 Nachhaltigkeitskriterien, einer einfachen Bewertung der Nachhaltigkeit durch 1-5 grüne Blätter und einer einfach zu bedienenden Buchungsplattform wollen wir so dem nachhaltigen Tourismus weltweit zum Durchbruch verhelfen. In einem ersten Schritt fokussieren wir uns auf Reisende aus Deutschland. Diese reisen gerne innerhalb des DACH-Raums und das Kundensegment der LOHAS (Lifestyle of Health and Sustainability) interessiert sich immer mehr für nachhaltiges Reisen. Wir erhoffen uns daher von Power to Idea einerseits Kontakte und Kooperationen mit Energieunternehmen aus der Region und andererseits zu Unterkünften und Tourismusbetrieben, die schon nachhaltig sind oder mehr in Richtung Nachhaltigkeit gehen möchten. Zusätzlich dazu sind wir uns sicher, dass wir von Coachings und den Mentoren von Power to Idea stark profitieren können. In drei Jahren möchten wir der erste Ansprechpartner für nachhaltiges Reisen in Europa sein. In 5 Jahren wollen wir den Markt für nachhaltige Unterkünfte weltweit abdecken und dazu auch Trips, Touren und An- und Abreise grün buchbar machen und in 10 Jahren wird bookitgreen den aktuell größten Plattformen weltweit starke Konkurrenz machen, weil immer mehr Menschen von konventionellen Plattformen auf bookitgreen wechseln. So möchten wir das Bewusstsein und den potentiellen Impact von nachhaltigem Reisen fördern und wachsen sehen. Bis dahin haben wir aber noch einen weiten, anstrengenden und sehr spannenden Weg vor uns. In der regionalen Verteillogistik fahren heute viele verschiedene Lieferfahrzeuge zu ein und demselben Ziel um dort Ware auszuliefern – mit unserer Software-Plattform sammeln wir zunächst alle Versandinformationen von allen regional zu transportierenden Gütern und erstellen daraufhin neue, versenderunabhängige Routen. Mit den neuen Routen werden alle Güter, welche zum gleichen Zielort geliefert werden müssen, zu einer neuen Route gebündelt, welche von Partner-Speditionen gefahren wird. Wir verlangen für die Erstellung der routenoptimierten Tour und der Bündelung der Ware eine Provision von 25% der Einsparungen. Bei Power to Idea möchten wir unser Geschäftsmodell mit externen Mentoren erproben und ggf. weiter nachschärfen. Darüber hinaus möchten wir uns gezielt in einigen Bereichen bspw. Sales neuen Input einholen und speziell für uns eigene Strategien in diesen Bereichen erarbeiten. Zu guter Letzt wollen wir den P2I-Accelerator auch nutzen um uns potentiellen Investoren vorzustellen. In drei bis fünf Jahren sehen wir uns als international operierende Mobilitätsplattform für den Gütertransport, speziell mit dem Fokus auf regional zu transportierende Ware. In fünf bis zehn Jahren möchten wir die regionale Logistik, ganzheitlich von der Routenplanung bis hin zum Ausliefern der Ware mit elektrifizierten und autonom fahrenden Fahrzeugen darstellen. Wir werden der zentrale Anbieter von ganzheitlichen Logistik-Dienstleistungen.